What are the Hacking techniques to Hack Facebook Account? 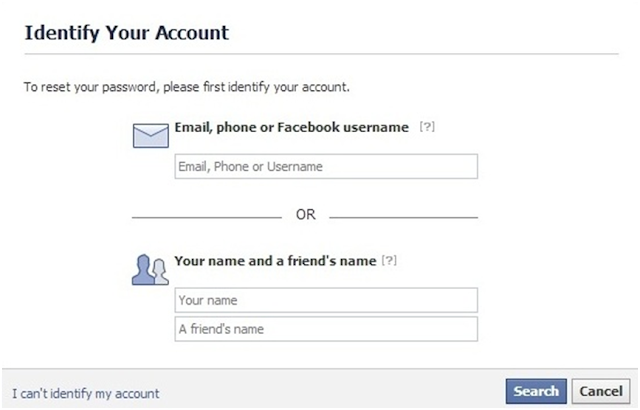 How to Secure Facebook Account from Hackers and How to Recover Facebook Account if Hacked? There are two types ov Hackers in this world. One, who are Professional Hackers, they don’t need to use any reset option to hack into facebook account they directly recover the current password n login the account by disabling the secure browsing and 2-step verification system and even Facebook Team can’t trace/stop them. It looks horrible but don’t be afraid all professional Hackers don’t hack facebook or any email account without any solid reason. So now question arises who are they who hack facebook account and how they hack? There is 2nd type ov non-professional hackers who hack accounts only to show their power to others and to make them terrified. So what techniques they use? There are two major techniques to hack facebook account. What is the Use ov Keylogger? How they Hack by resetting your password? They simply go to facebook login page n click on “forgot password” option. Then they get the below page. Now Facebook gives you different ways to identify your account as you can see in above image. Its quite difficult sometimes to use Friend’s name, Email and phone option to identify the account as all these are mostly hidden on accounts but they use very simple way to identify the account which is username option. They simply go to your profile and they copy the user name from your profile’s URL . For example: if my profile’s URL is www.facebook.com/AbdulHananOfficial then after “facebook.com/” you can find the user name which is AbdulHananOfficial. Then they simply enter this username and go to reset your password. Then facebook gives them three options to reset the password. So How to secure your account from Hackers? To secure your account, you have to make all security measures enabled. 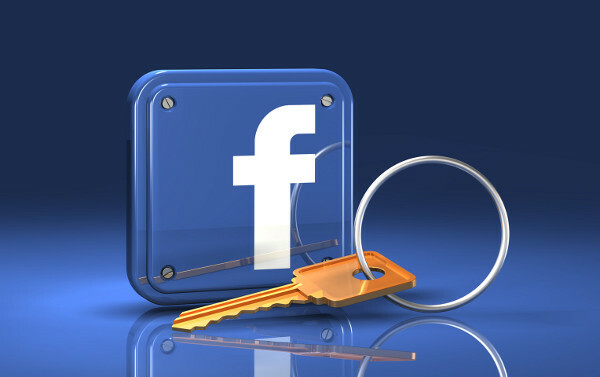 For this purpose, Facebook gives you several security hurdles to be retained secured. Below I am going to explain that how you can enable all security measures. Enter your phone number which you want to add to your facebook account and then click on Continue. Then you ‘ll notice below image on your screen and get a security code on your cell phone. Then enter the code which you received on your cell n then click on confirm. Now you have enabled the 2-step verification system. How 2-step verification system makes you secure? 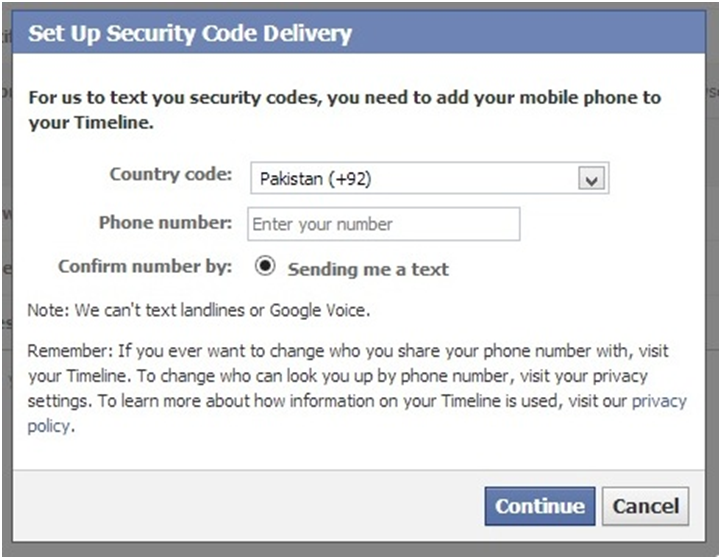 When you have enabled 2-step verification system then whenever anyone ‘ll try to login your account by entering your password from Unknown Device or Browser (the device or browser which you hadn’t saved in your facebook account) then facebook ‘ll send a security code to your cell phone n request you to enter that code to login. So if you have cell in your own custody then doesn’t matter if someone has your password or not. How to Enable https Browsing in Facebook? https browsing keeps you secure from Session Hijacking which is a usual way of Hacking. To Enable it just press setting Button and click on Account Settings. Then Click on Security Option given on the Left side of Page. I have also shown in Below picture. Then Click on Edit and check the Option "Browse Facebook on a secure connection (https) when possible"
How to Edit saved devices in your facebook account? How to check that How much your facebook account is secured and you have enabled all security measures? Your overall protection should be “High”. 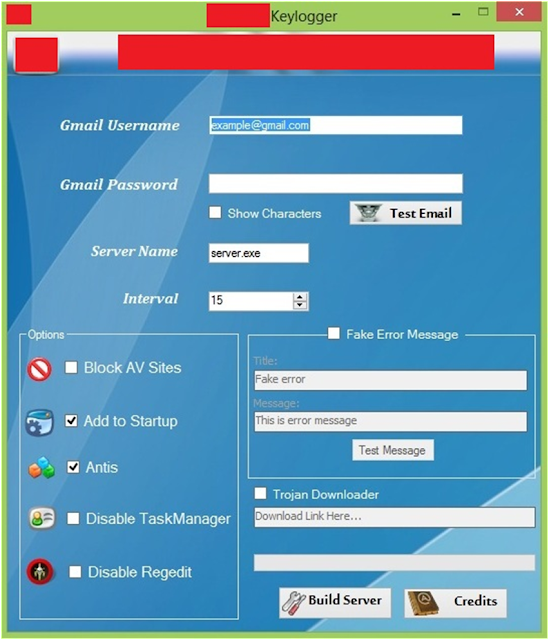 Here you can add your contact Email, Mobile Phone and security Question to reset your password if you ‘ll be hacked in future. 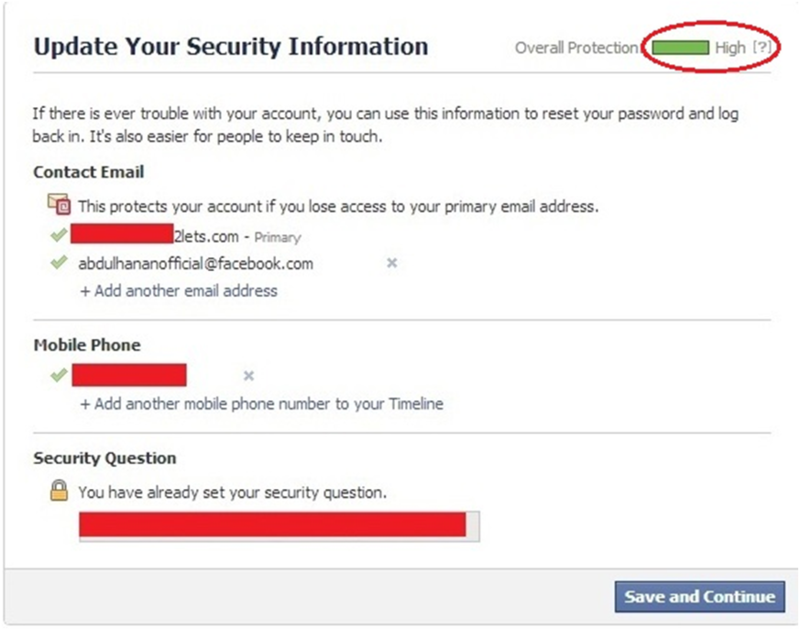 How to recover your Facebook Account if you have Hacked? You become hacked completely whenever hackers access your account n remove your associated email address and phone number from your account. Now question arises how you can recover now? Simply go to your email address which was associated with your facebook account then you ‘ll must see this below email in your email account. 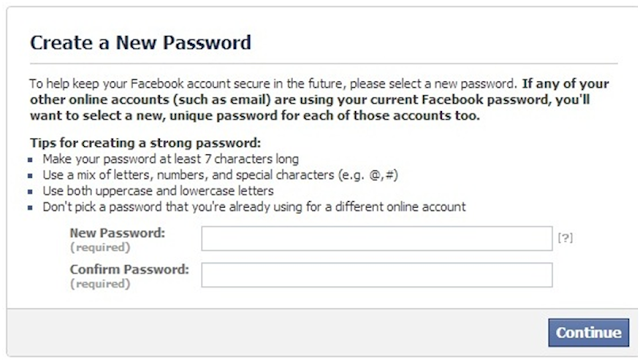 So choose your new password n recover your facebook account. What is the crux of this above article n what we should do to create unbreakable security? There are 3 Main Things that should be protected to make your account safe. Choose the security question which is constructed by answer in shape ov Name ov a person. Do not choose the questions which have the answer in the shape ov city Name like “where did you spend your childhood summers” or “where was your mother born” because these questions mostly have the answer in shape ov City Name which can be guessed by trying again n again. So Try to choose the question like “What was the last name of your first grade teacher?” etc. You are secured n can recover your facebook account till you have access to your associated email address otherwise there is no way to recover facebook account. So try to associate most strong email address with your facebook which can’t be reset or hacked. For this, I prefer Gmail because its quite difficult to reset or hack Gmail Account. So always associate Gmail account with your facebook or you can also associate 2lets.com Email account (if you have) n always try to associated more than 2 email accounts with your facebook account so that if you become fail to remember or access to one Email address then you can access other one.